Besides scanning, Smart PDF Scanner includes a very good tagging system to help you organize your scanned documents under color-coded categories so you can easily browse through and find scanned files you need to work on. 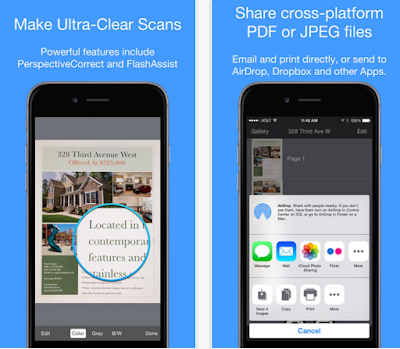 For sharing your scanned docs, Smart PDF Scanner allows you to export your scans in different formats such as PDFs or images. Alternatively, you can email or print your docs directly from within the app or share them via AirDrop. You can also upload your scanned docs to cloud services like Dropbox, Google Drive, Evernote and OneNote.